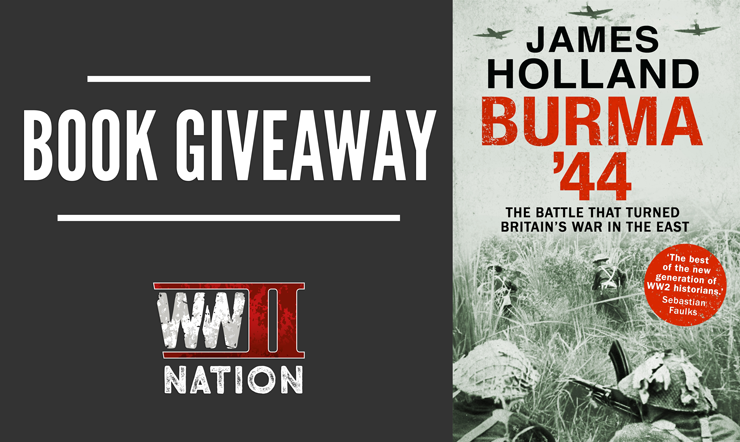 In our latest WW2 Nation Book Giveaway, Ross and I are giving one of you the chance to get your hands on a free hard-back copy of James Holland’s excellent new book Burma ’44. Having just finished reading this book last week, I found it an incredibly fascinating read and struggled to put this page-turner down, you certainly will not be disappointed by this gripping chronicle of the fighting in the Arakan! 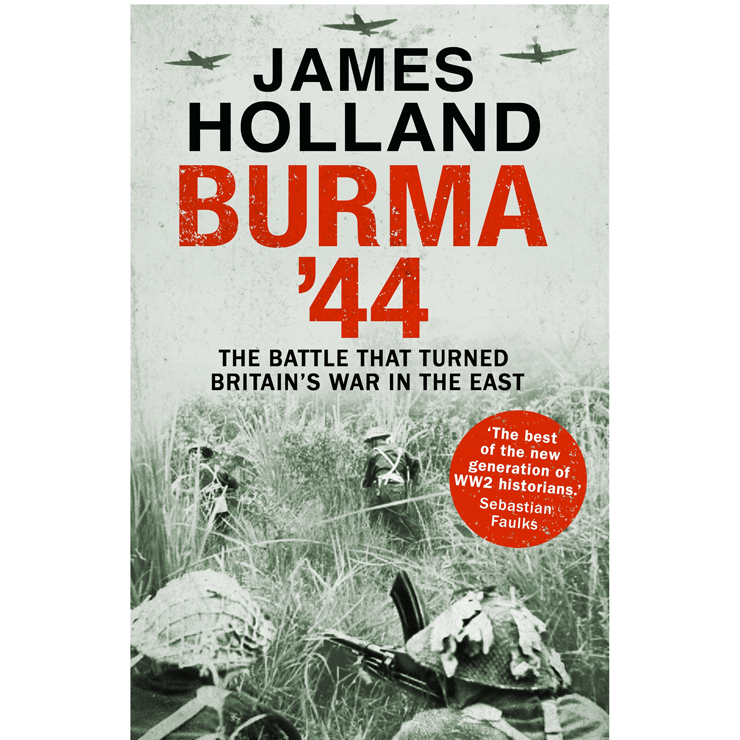 This fascinating new book examines the events of February 1944 in Burma, as a rag-tag collection of clerks, drivers, doctors, muleteers, and other base troops, stiffened by a few dogged Yorkshiremen and a handful of tank crews managed to hold out against some of the finest infantry in the Japanese Army, and then defeat them in what was one of the most astonishing battles of the Second World War. What became know as The Defence of the Admin Box, fought amongst the paddy fields and jungle of Northern Arakan over a fifteen-day period, turned the battle for Burma. Not only was it the first decisive victory for British troops against the Japanese, more significantly, it demonstrated how the Japanese could be defeated. The lessons learned in this tiny and otherwise insignificant corner of the Far East, set up the campaign in Burma that would follow, as General Slim’s Fourteenth Army finally turned defeat into victory. Burma ’44 is a tale of incredible drama. As gripping as the story of Rorke’s drift, as momentous as the battle for the Ardennes, the Admin Box was a triumph of human grit and heroism and remains one of the most significant yet undervalued conflicts of World War Two. The Giveaway will be running from Tuesday 3rd May until 7 p.m. on Sunday 8th May.